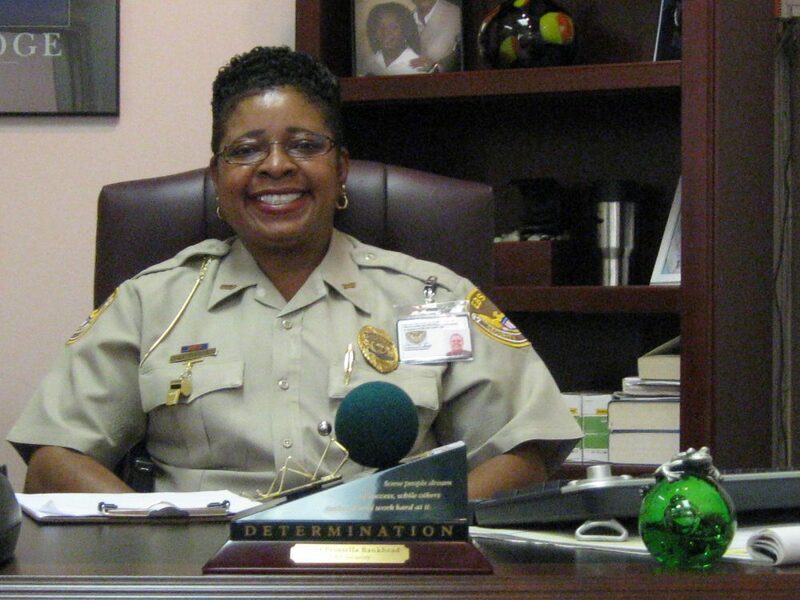 Printella Bankhead earned a degree in criminal justice from Florida State College at Jacksonville and has over 29 years of experience and extensive specialized training in the security industry. Recognizing the dire need for crime prevention and professional security services, Ms. Bankhead founded EBS Security Inc. in 2002 to provide the Jacksonville, Florida area a higher quality of security services at home, at work, and while out on the town. As the president of EBS Security, Ms. Bankhead oversees the company’s operations and strategic planning for continued nationwide growth and success. In addition to EBS Security Inc., Ms. Bankhead is committed to helping others succeed through her work as a motivational speaker, certified life coach, mentor, and author. She recently worked with an 80-year old woman to complete her lifelong goal of obtaining her Doctorate in Ministry by serving as a personal coach through the process. She has also worked with Job Core of Jacksonville and Boy Scouts of America to provide mentoring and training for students interested in the criminal justice field. She has recently authored the book “Staying on Course in Business and Life.” Her advice for all aspiring entrepreneurs is to select an industry or field that they are passionate about so it does not feel like work. Printella Bankhead worked 2 jobs and was raising her 2 young children in the mid-1990s on her own after a divorce. Determined to find a better way to support her family, she took a position as a security guard and immediately felt connected to the industry. She then decided to quit the other positions to work security full-time. Ms. Bankhead, a life-long believer in personal development and growth, decided that she should also learn as much as she can about the field she felt so passionate about. She re-enlisted in college and changed her major from Business to Criminal Justice. Ms. Bankhead quickly became a supervisor and remained in that role for about 10 years with the same company. The company provided security to a church, and this is where she would first explore the option of opening her own business. The pastor of the church was impressed with her integrity and professionalism, but not happy with the company she worked for. He asked her if she had ever thought about going into business for herself, and told her that if she decided to go into business for herself, he would be her first client. After carefully weighing her options, Ms. Bankhead decided to indeed go into business for herself. She participated in as many small business workshops and training she could find to get better acquainted with the business aspect of providing security services. She has participated in multiple training opportunities funded through the U.S. Small Business Administration (SBA), including the Emerging Leaders Program. She was also a participant of the ScaleUp North Florida program offered through the University of North Florida and sponsored by the SBA. EBS Security Inc. has grown from a 3-person operation to over 65 employees with multiple private and public clients. Ms. Bankhead credits her success to hard work, networking, and relationship building. She visits her clients personally and encourages her staff to go above and beyond in providing service whenever feasible. She also interviews all new-hires herself and encourages them to speak to her about any issues. EBS hosts at least one event annually, where her employees can bring their families to participate. In addition to training and networking, Ms. Bankhead also prepared her business for government contracting by certifying her business through the City of Jacksonville Small and Emerging Business Program and the SBA’s 8(a) Business Development Program. EBS Security Inc. has formed a joint venture with Natsar Protective Services, LLC (graduated from the business development program) to better compete for larger federal government contracts. Contact EBS Security today for all your security needs.